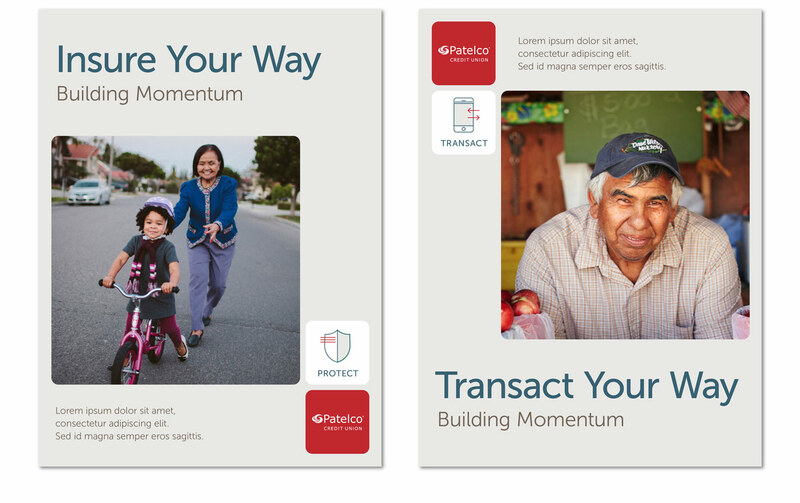 Inspiring new generations to embrace credit union ideals. 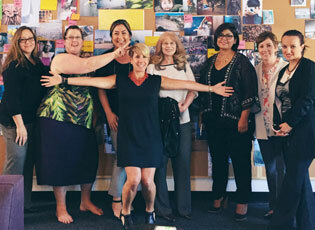 Shining a light on the positive transformation of a local credit union. In the wake of the financial crisis, not-for-profit credit unions should have been thriving. Most Americans had not only become distrustful and cynical of bank’s motives, but they were actively seeking relationships with businesses that were purpose-led and transparent. Credit unions check both boxes, but because of thrifty marketing budgets and slow-to-innovate practices, most people didn’t see a credit union as a viable alternative to their current bank. 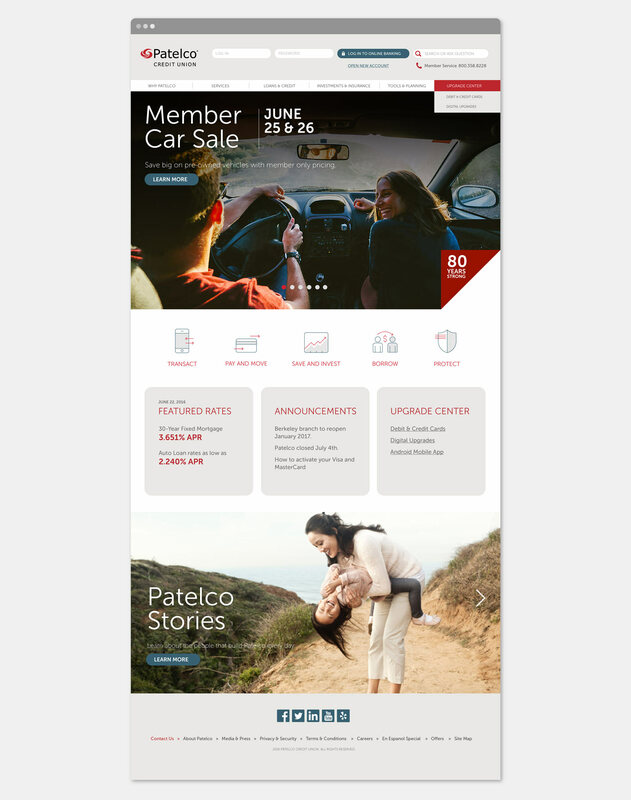 Celebrating their 80th anniversary, Patelco was not only looking to build excitement around this milestone, but using this year as an opportunity to change the conversation about Patelco. 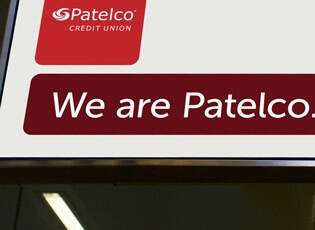 They were looking to shine a light on the meaningful differences Patelco makes in its members’ lives. 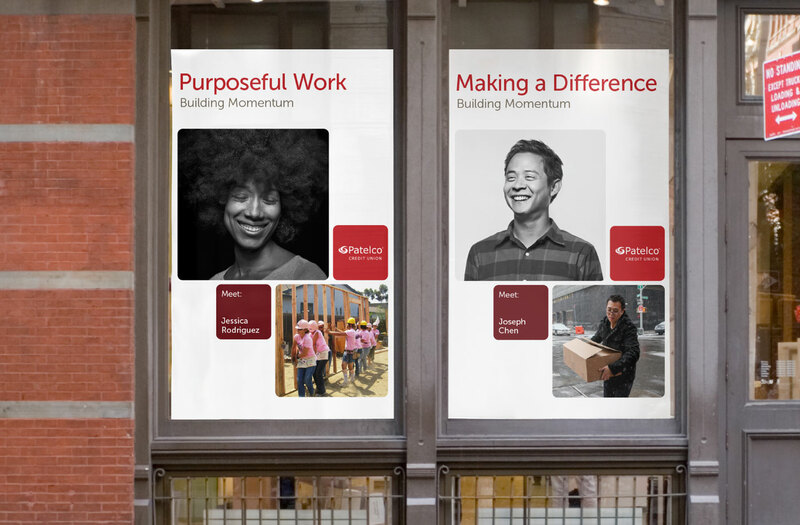 With a purpose-led CEO, credit union values that ran deep, and an inspiring level of commitment, the organization had all the right components for re-energizing the brand. 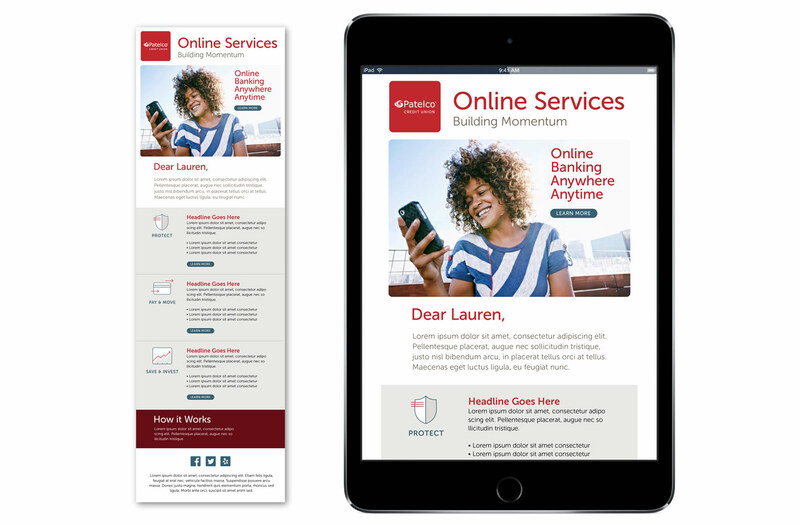 We created a brand strategy and identity to help the business gain trajectory, unify their team, and create deeper meaning in the marketplace. If you want to change the conversation about a brand, you need start from the inside out. By engaging and uniting employees around an aspirational vision, they will begin living the brand in new and meaningful ways. 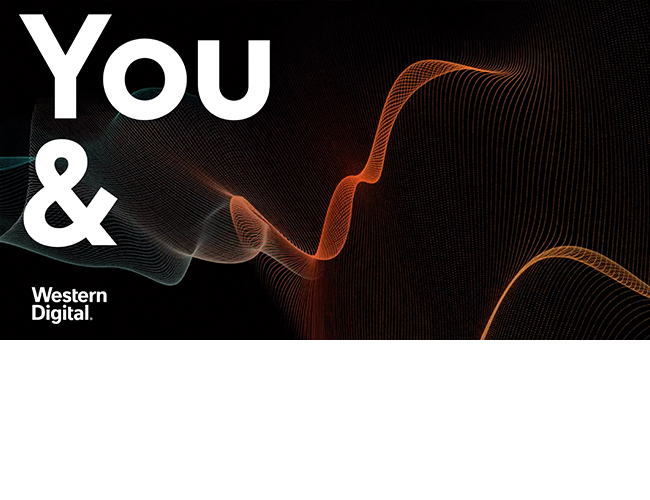 Customers and perspective customers start to take notice — because actions speak much louder than words. 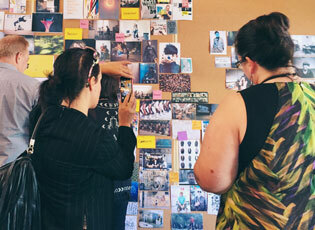 No one wants to start a project by saying “Yeah, but…” Sending a creative team on an unbridled exploration can deliver some awe-inspiring possibilities, but if there isn’t money in the budget to support these aspirations or a dedicated client-side team to implement a sophisticated design system, the vision falls flat. Get realistic about budget and resource limitations from the start and everyone will be set up for success. Bring everyone along for the ride. In the throws of developing strategy it’s easy to forget what’s going on in the trenches day-to-day. When it comes to implementation, be empathetic to the people that are affected by the change and its pace. 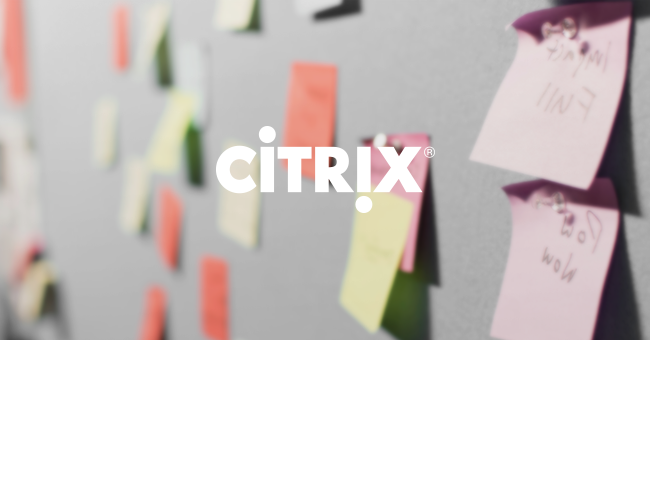 It’s not realistic to expect employees to just get on board about new processes, or policies without insight. Explain why change is happening, why it’s important, and what everyone’s role is. Clear communications will deliver ownership and trust in spades. 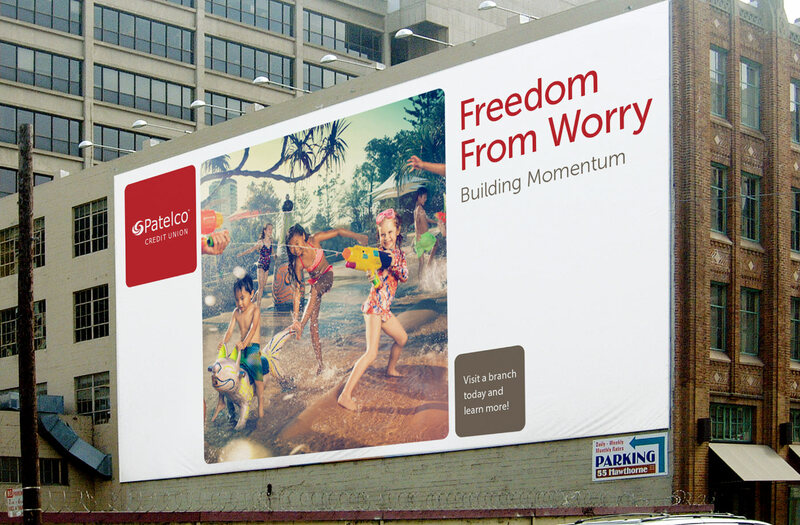 One of Patelco’s problems was the lack of a graphic element that unifies the visual identity. 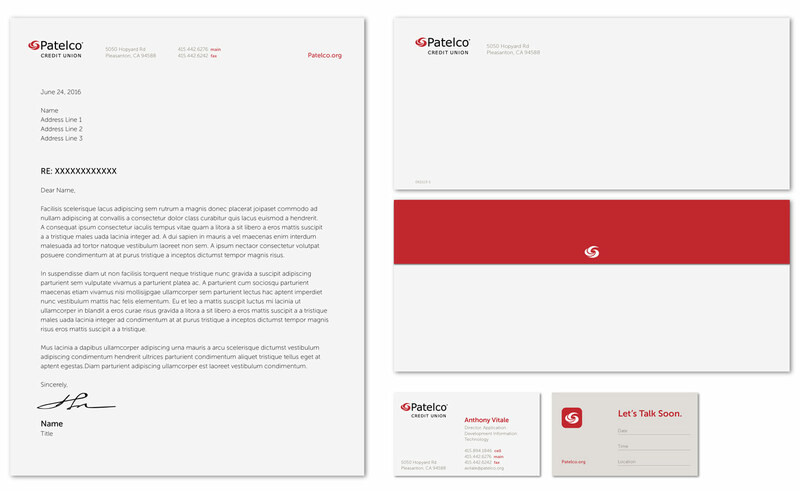 It was also important that the new look and feel retains the strength of the existing brand. 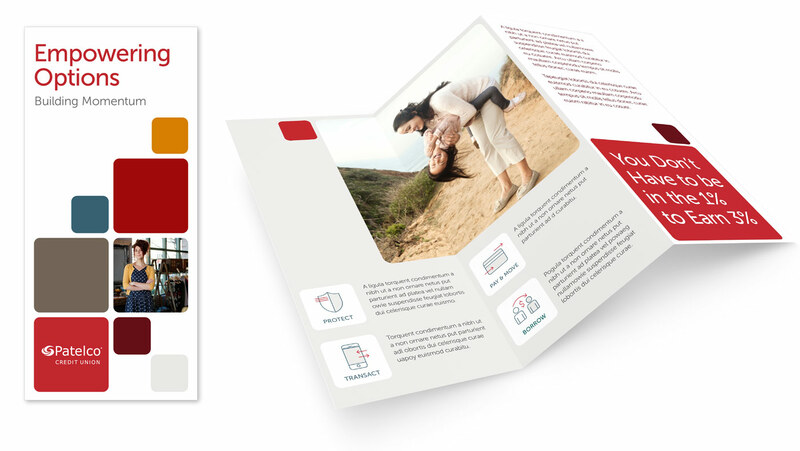 We developed a simple yet versatile system of Tiles that brings together external and internal communications on brand, product, and employee. 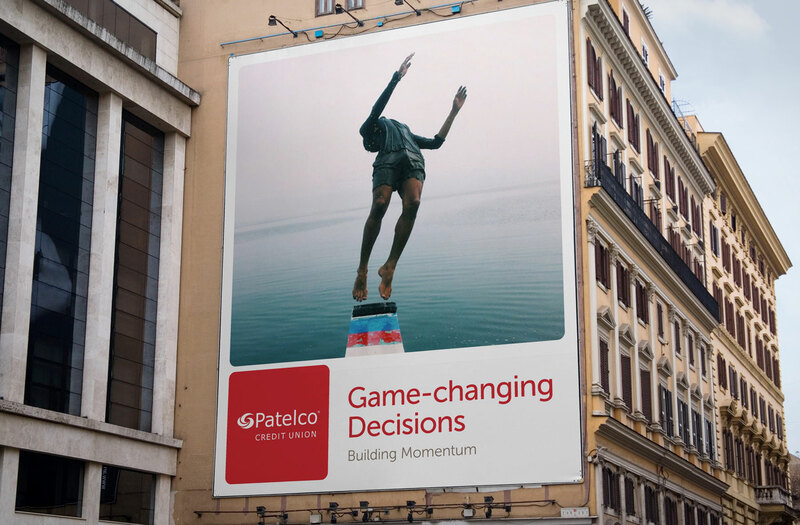 The various product categories and internal initiatives from Patelco call for a family of icons that helps categorize and clarify Patelco’s offerings. 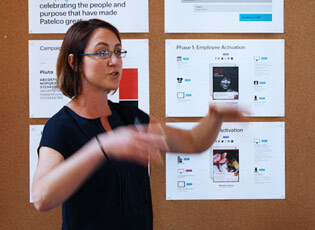 The icons are designed to be friendly yet functional so that they work well at different scales and platforms. Respect the past. Embrace the future. It was important to find a balance for the updated visual identity, making sure it would resonate equally well with current members as well as prospects. 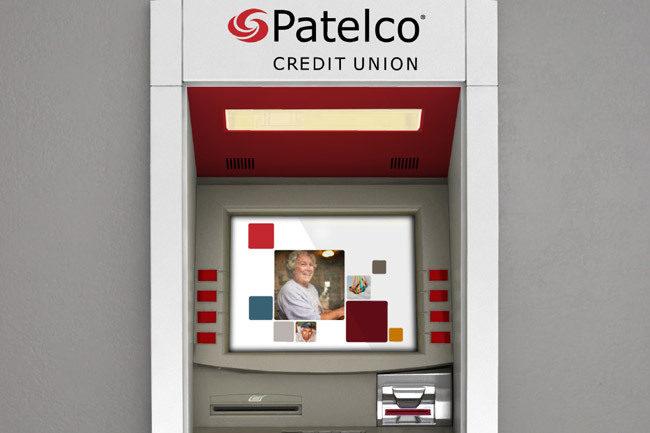 With big banks continuing to behave poorly, there was never a better time to become a member of Patelco. 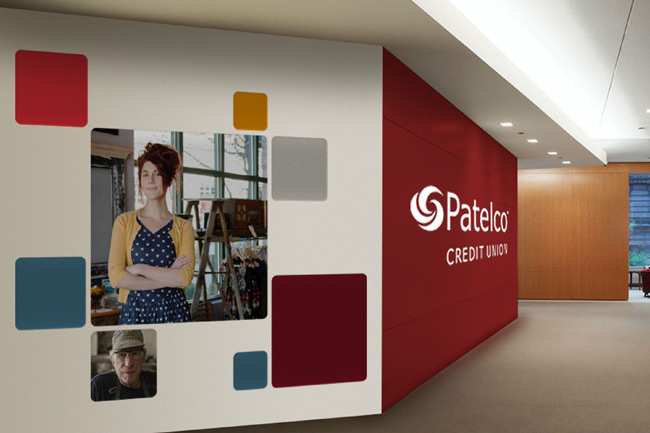 We crafted messaging and a Go-To-Market strategy that didn’t “go negative,” rather focused on all of the reasons Patelco represents a brighter and more honest financial partner. 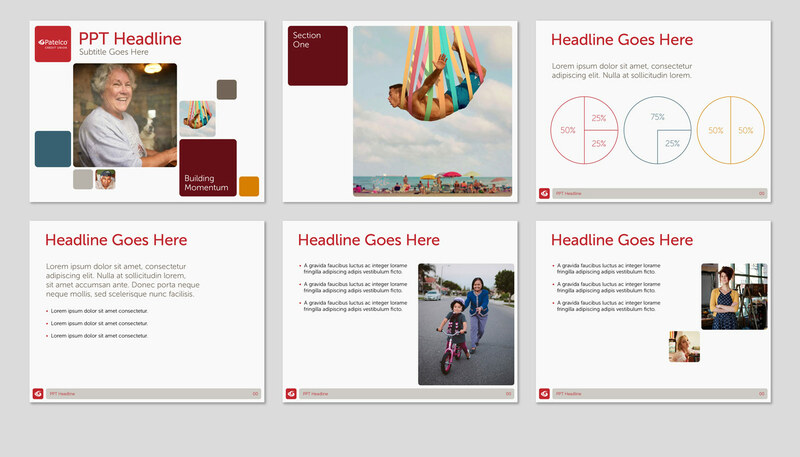 When we brought the teams who would ultimately be responsible for implementing the new strategy into the fold to elicit their feedback, our work got much tighter. Input from them ensured they were getting what they needed to be successful. 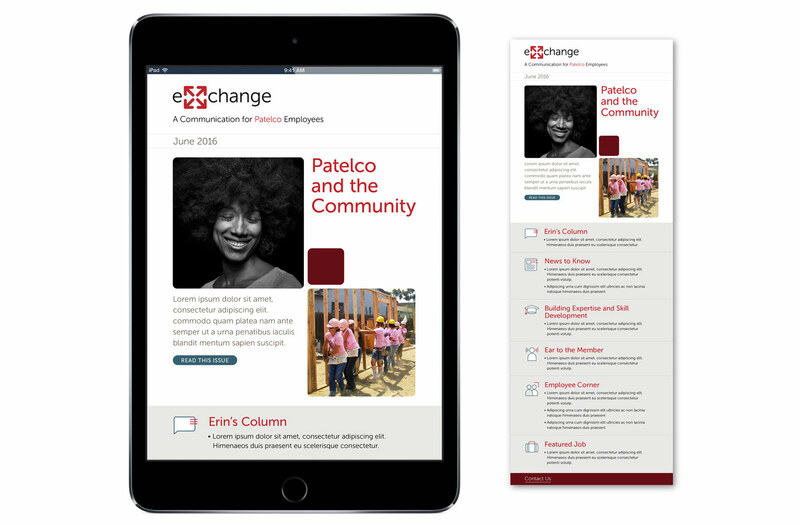 The brand manifesto fired everyone up, united the organization, and created a sustainable momentum for all Patelco employees.